A neatly trimmed, semi-puffy jacket with loads of features, the Obermeyer Bunny Hop Insulated Ski Jacket is a warm, smart choice. Its 10K/10K fabric is backed with a mapped blend of high-loft synthetic for true air-trapping warmth. 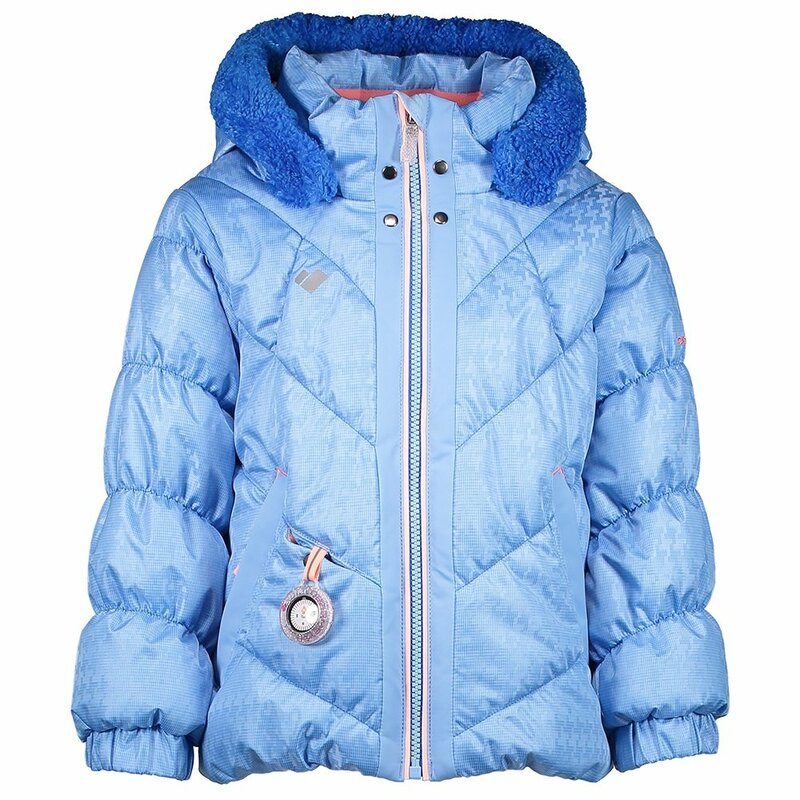 The removable hood adds flexibility and includes a stylish faux fur or fleece trim around the edge. A stretch pass pocket, goodie pocket, accessory ring, secret pocket and glove-retention clips provide serious organization, ensuring everything stays in its place. When she hits a growth spurt, the Obermeyer Bunny Hop Ski Jacket keeps up with its built-in extended wear system.